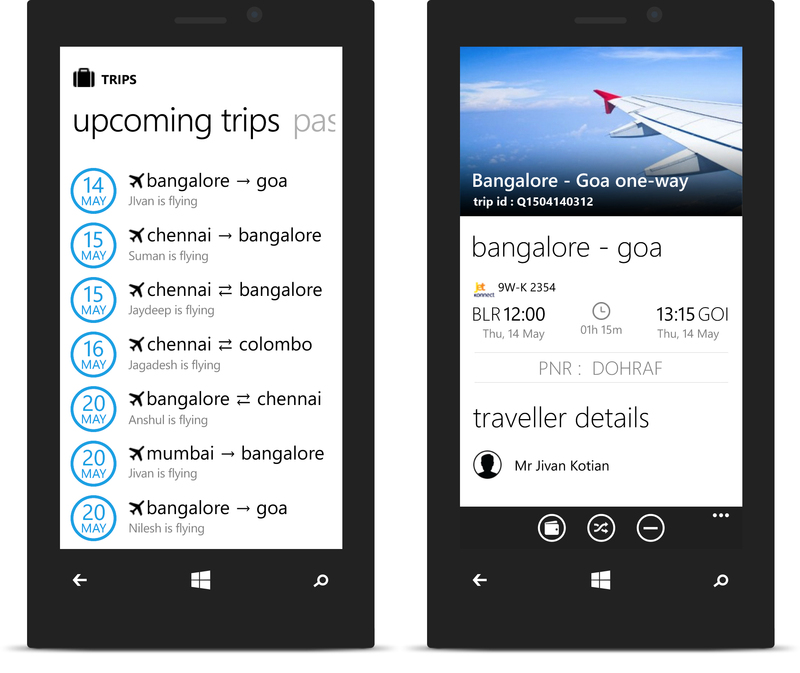 A couple of months ago we added Hotels and Trains to Cleartrip for Windows Phone. 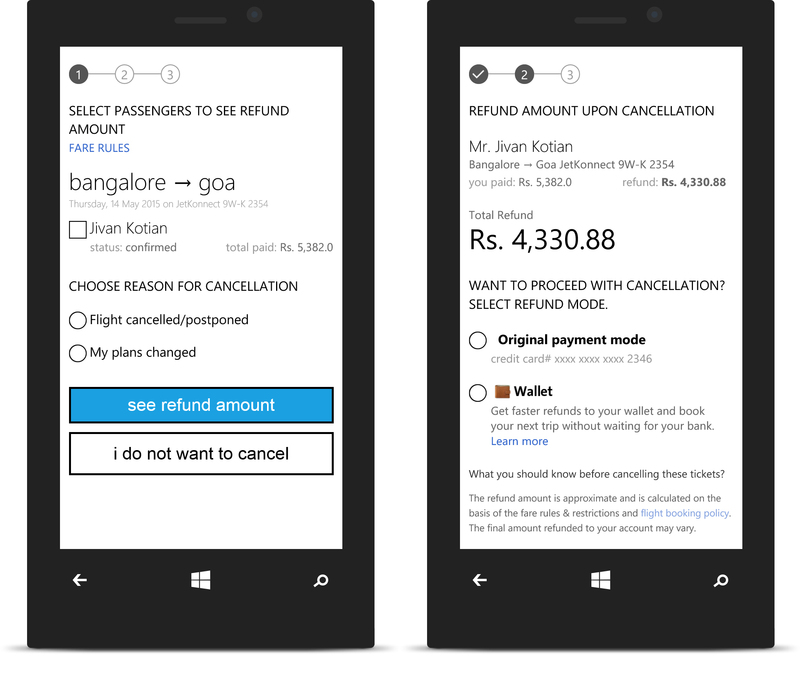 Now that users can book all their travel on the Windows Phone app, we want to give our users more power to manage their trips on the go. Keeping this in mind, we are excited to launch new features on the app that will help users make in-app changes to their travel plans, and get refunds faster and easier. We’ve also added a couple of features to help you save money while booking flights and hotels. We understand that travel plans can change. 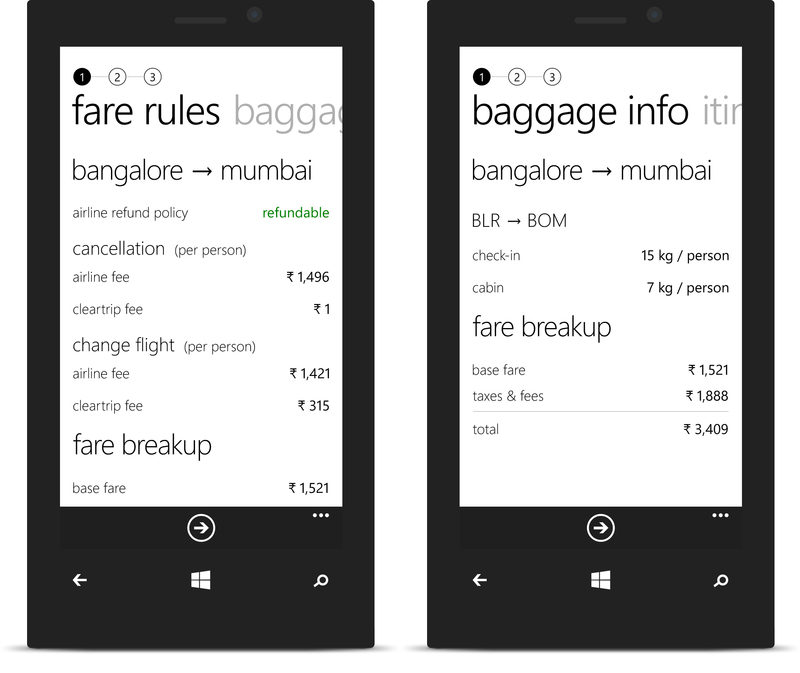 Now our Windows Phone users can change their flight and hotel trips, right from the app. Tap on ‘Trips’ to access all the upcoming trips in the app. Select the trip, select travellers and dates, choose your new flight and you are done. You can also cancel your flight and hotel bookings from the app. 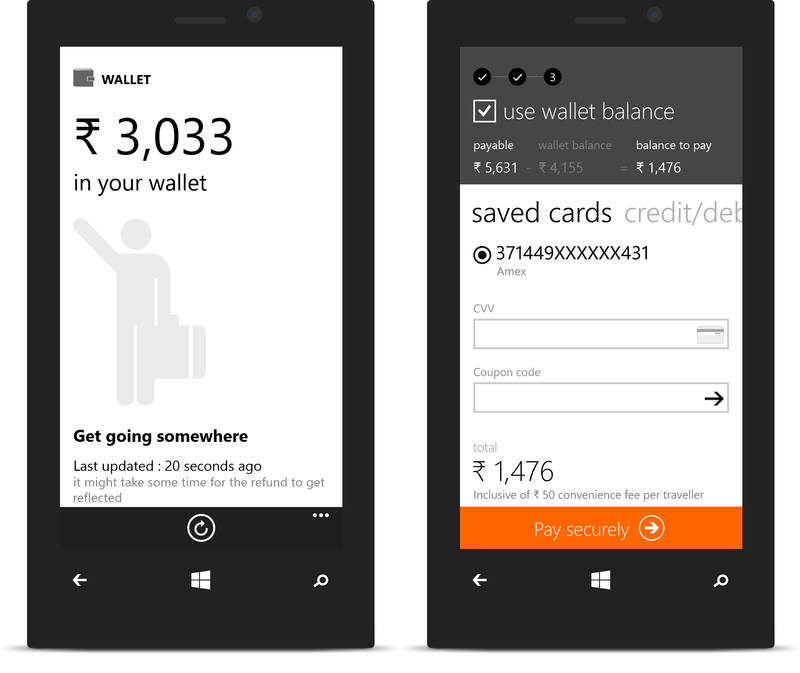 The power of Cleartrip wallet is now at your fingertips. Get your flight and hotel cancellation refunds directly in your Cleartrip wallet. You can reuse the money to make another booking within a couple of hours, instead of waiting for days for the refund to hit your bank account. Amazing offers from Cleartrip are now just a tap away. The new ‘Offers and Deals’ section will take you to the list of all running offers to make your travel easier on your pocket. Users can now check the cancellation / rescheduling charges and baggage allowance for all flights even before they book. Swipe across the itinerary screen and you will find fare rules with cancellation policy and swipe again to find baggage allowance for the selected flight(s). Booking hotels is now easier than ever on Windows app. You can now make hotel bookings using the app without having to pay anything at the time of booking. Look out for hotels with the ‘pay@hotel’ tag in the search results, select the pay@hotel option when you make the booking process and you won’t be charged anything for booking the hotel. Your reservation is guaranteed and payment will be collected directly by the hotel during your stay. We are very excited about the new features and we’d love to have your feedback. We would also like to know what else you’d like to see in the Windows Phone app. 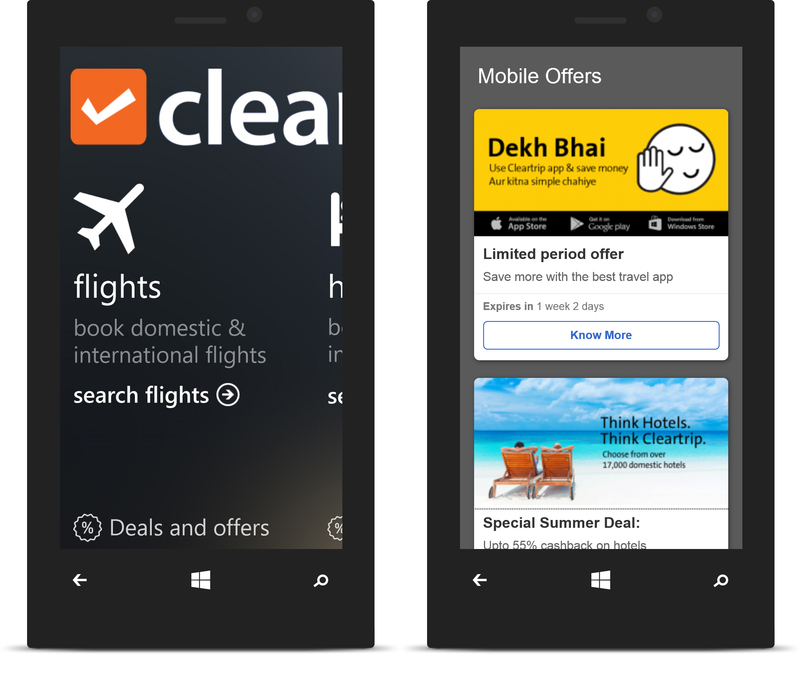 So download the Cleartrip app from the Windows Phone store, and let us know what you think on mobile@cleartrip.com.